At the turn of the New Year, my friend and 8-year U.S. Navy Veteran, Michael Hyacinthe, passed the Executive Director leadership role of [Fashion Has Heart] to myself, Tyler Way. Having worked as the Creative Director since we first conceived the concept of the [FHH] in 2010, I’m humbled, honored, and excited to pick-up where Michael left off leading this passionate organization onward. I’m looking forward to Michael continuing to play a significant role in [FHH] as our Senior Advisor and Chairman of the Board. To briefly recap what our small team of volunteers has been able to accomplish these past few years, we’ve been able to work with over 15 wounded veterans from across the country, pair them up with 20+ Artists, exhibit their meaningful work as three ArtPrize entries (being juror-nominated for Most Outstanding Venue in 2012), at the Forbes Galleries in NYC, and most recently, through a special HERO[series] project with the Detroit Pistons’ Kyle Singler, featured by the NBA. 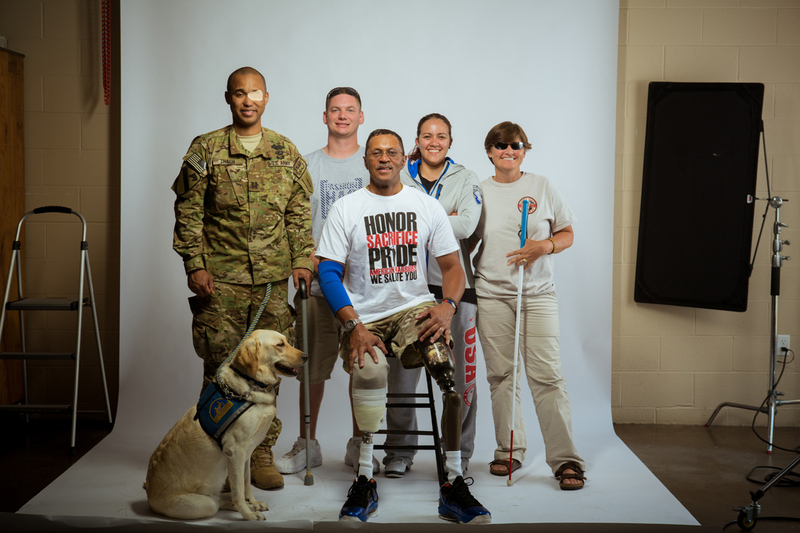 Expanding our mission to benefit, inspire, and enrich Our Nation’s veterans, [Fashion Has Heart] is excited to announce that our next HERO[series] project will be in partnership with AIGA West Michigan’s Design For Good initiative. On February 20th-21st, a handful of AIGA members will be partnered with regional veterans with the single mission to tell that veteran’s story through the mediums of art, design, and fashion. To further add to this partnership, the HERO[series] Design Days will be hosted at “The Studio” at A.K. Rikk’s. This AIGA West Michigan collaborative project will become a case study that [FHH] will unveil during Memorial Day week in order to present the HERO[series] project concept to the 68 other national AIGA chapters that will be attending the National AIGA Leadership Retreat in Grand Rapids this summer.